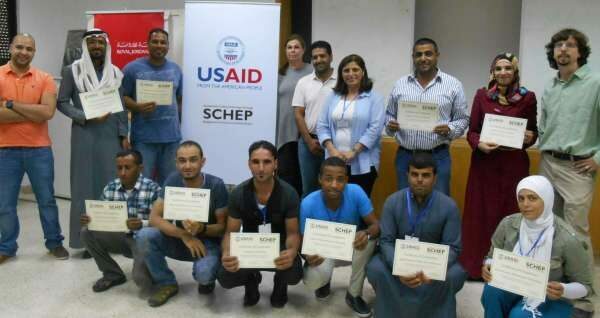 In July 2015, ACOR hosted a workshop as part of SCHEP’s new “site steward” program, which empowers local community members to care for and preserve Jordan’s cultural heritage sites. Ten young Jordanians received training in cultural heritage best practices, antiquities laws and regulations, and the role of communities in protecting heritage sites. The U.S. Ambassadors Fund for Cultural Preservation has awarded a 15-month continuation grant for ACOR’s TWLCRM Initiative in Petra. The grant, which was launched with a formal visit to the site by U.S. Ambassador to Jordan Alice G. Wells on 13 September, will support critical conservation and presentation efforts at the site. Copyright (C) 2015 ACOR, All rights reserved.